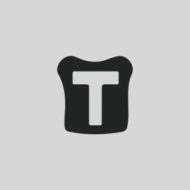 Nicole and Mallory are the Editors of The Toast. NICOLE: It is a Captain America movie. This post originally appeared on January 7th, 2014. Previously in Canadian anthropological studies: Facts About Thanksgiving. 1. Guess. It's as good a strategy as any. 2. They are behaving towards you exactly as they always have, yet you somehow feel strangely guilty. 3. Something has changed in the wind. Nicole: Okay, let's just get this out of the way IMMEDIATELY: obviously this is the greatest movie ever made. Mallory: I think at ten different points throughout the movie one or both of us leaned over to the other and said "This is the best movie I have ever seen." These are all 100% actual names that Nicole and self considered naming this website. Consider yourself lucky; any one of these could have served as an admirable name for a women's college freshman-year literary magazine. 1. You LOVE The Toast and want to keep it going. 2. You like good deals and good websites, and you want to enjoy 50% of the regular subscription rates to four of the best sites out there. We love you. Talk amongst yourselves. This post originally appeared on October 17th, 2013. Mallory left this morning. But not before this happened. Gabbin’ About God: What’s the Devil’s Deal?